Loud “ECH-O-SMITH” chants filled Philadelphia’s Theatre of the Living Arts, or TLA, while the completely full standing room crowd swayed in anticipation of the band of family members. 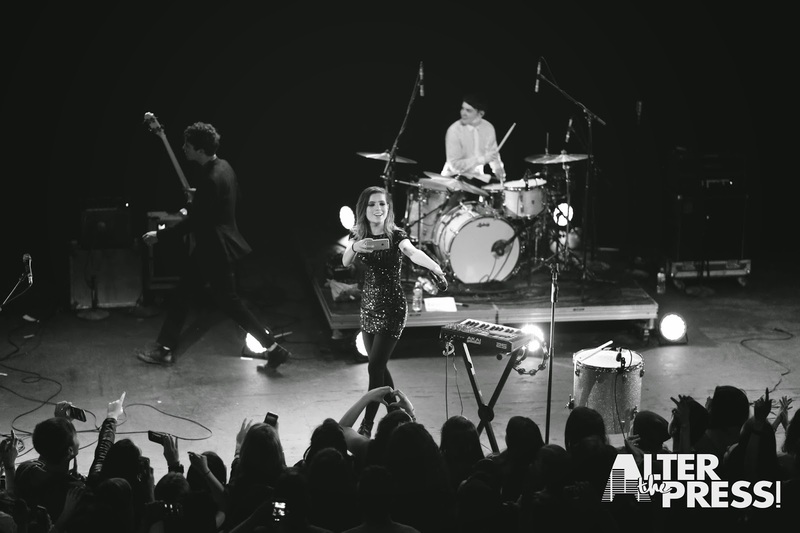 The first Sierota on was the youngest: 16-year-old Graham set it off with the drum intro to what would be Echosmith’s first song, “Ran Off In The Night.” Following him came guitarist Jamie and bassist Noah, eventually joined by vocalist Sydney and a roar of screams. All dressed to the 9’s, each member of the group stood as a modern hero to the thousand adoring fans in attendance. 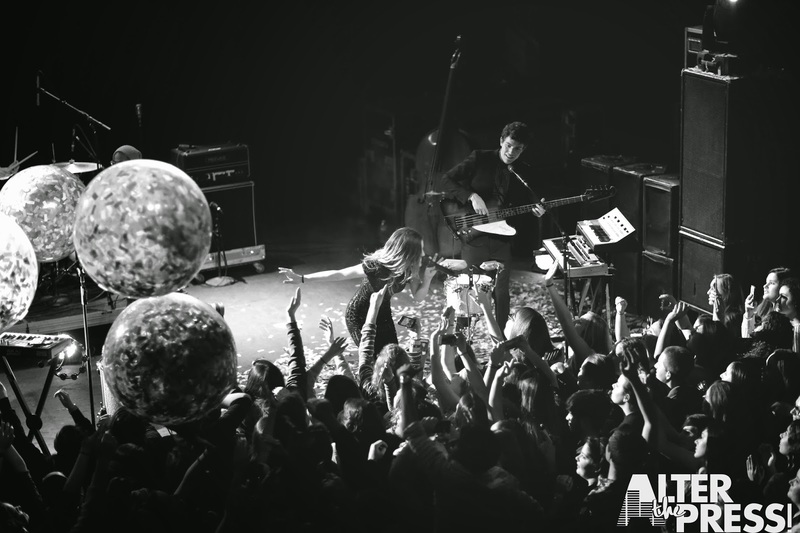 Echosmith proceeded quickly through “Let’s Love,” album title-track “Talking Dreams,” “Safest Place” and “Come Together” while Sydney moved swiftly across the barricade-less stage to engage with the crowd. As an observer, I feel as though it is important to note that I’m not sure if I’ve ever seen more sensitive and respectful supporters than the fans in the front row. When the singer leaned down into the audience, attendees waited for her to grab their hands, not for a second taking advantage of the intimacy the venue provided. Such a sight was sincerely refreshing to process. The quartet stabilized the energy in the room with a cover of the Talking Heads’ “This Must Be The Place,” a tune recorded and released long before any of the Sierotas were born. “This song means so much to me guys,” Sydney spoke of “Tell Her You Love Her,” rousing the entire audience to respond with a sentimental and supportive “Me too!” The quality of the band’s live performance is identical to their record – each spot-on song matching the ambient layers of sound they built into their debut. During newest single “Bright,” the singer recorded the crowd articulating words back to her, a moment forever immortalized in the hearts of show-goers and the memory of an iPhone. Between “Come With Me,” “Surround You” and “We’re Not Alone,” Sydney, Jamie, Noah and Graham bantered like a family at Thanksgiving dinner over who would get the last Pillsbury crescent roll. To the crowd’s delight, it was like a peek into the lives of the four Echosmith members – comfortingly normal and relevantly familiar. Closing the set with mega-hit “Cool Kids,” the band proved that being cool is just a state of mind if you believe. “You are very very loved for exactly who you are right now,” explained Sydney to every wide-eyed fan in the place. Making their way back out after another round of “ECH-O-SMITH” chants, the group solidified the evening with “Nothing’s Wrong” while massive balls full with confetti bounced around before spewing their celebratory contents on the crowd. 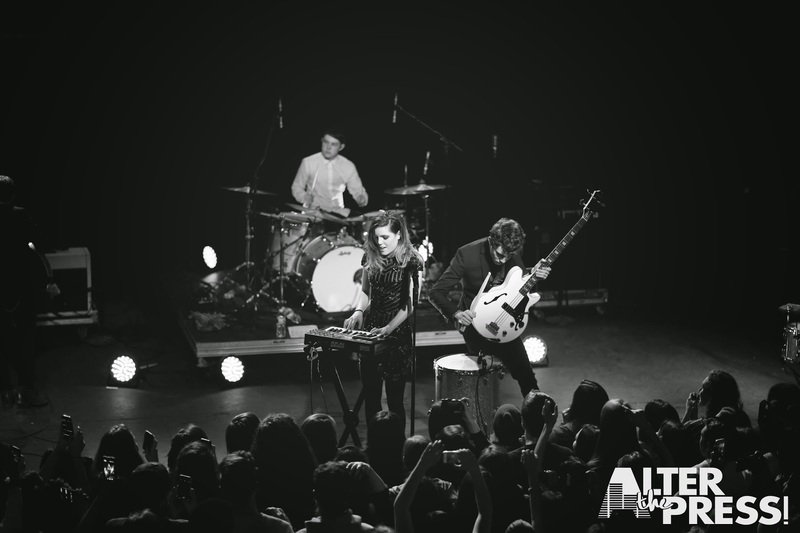 Echosmith, young and poised for massive success, embody a mature and authentic confidence that makes them a must-see live – that is, if the show in your city isn’t already sold out. 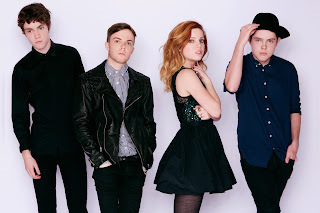 Remaining dates and ticket information for Echosmith's Talking Dreams tour can be found here.